That’s how one member of our online health community, MedHelp, described the trepidation around getting started on a medication. It’s an unfortunate yet not uncommon attitude shared by many people who face long-term therapy. Providers perceive the barriers of starting patients on a new medication, too – from ensuring fulfillment of that first script to the ongoing support that helps address patient concerns. 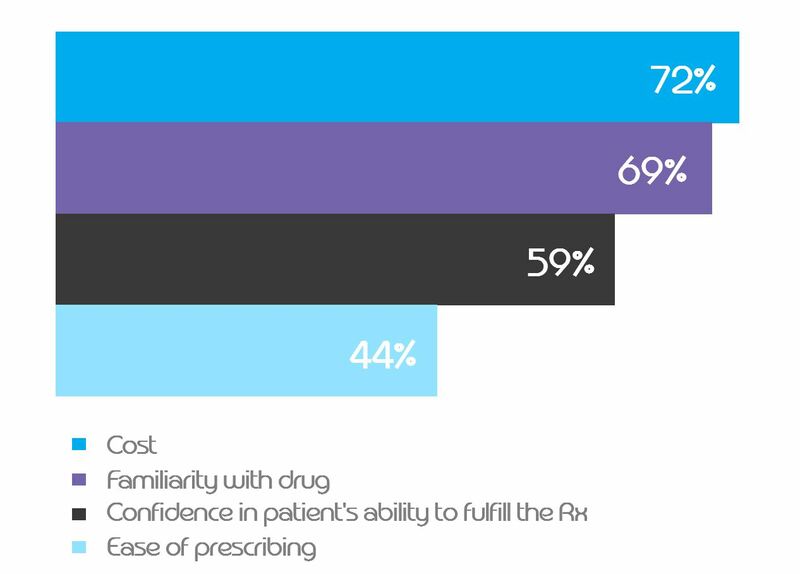 In fact, a recent survey of nearly 300 members of our digital physician community sheds light on key drivers of providers’ prescribing decisions, as well as some of the perceived barriers that their patients have around their care plans. Once prescribed, many providers recognize how overwhelming some of these recommended therapies can be—particularly for chronic conditions—and the subsequent impact on a patient’s ability to follow-through on the care plan. Survey respondents suggest ways to support patients after they leave the provider office. How can we address these very real barriers to care? While there are plenty of great initiatives out there aimed at shoring up pieces of the new-brand experience, the industry has yet to benefit from a solution that tackles it with an integrated approach—from point-of-care patient enrollment to doorstep delivery to ongoing patient support, customized to the brand. That’s exactly what we’ve been developing with our strategic EHR network partners and today, we’re working with life sciences companies to ensure that their brands are part of this integrated solution to improving the new-to-brand experience. Read our whitepaper to learn more about improving the new-to-brand patient experience.